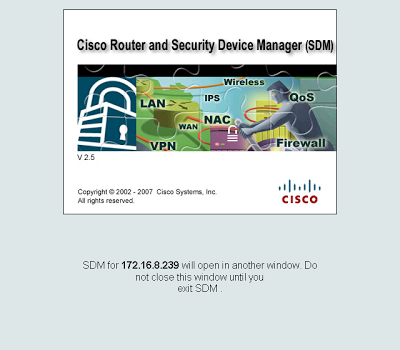 Cisco SDM (Security Device Manager) is a Web-based application that provides the GUI for different Cisco routers, with this you can easily troubleshoot complex network and VPN connectivity issues. 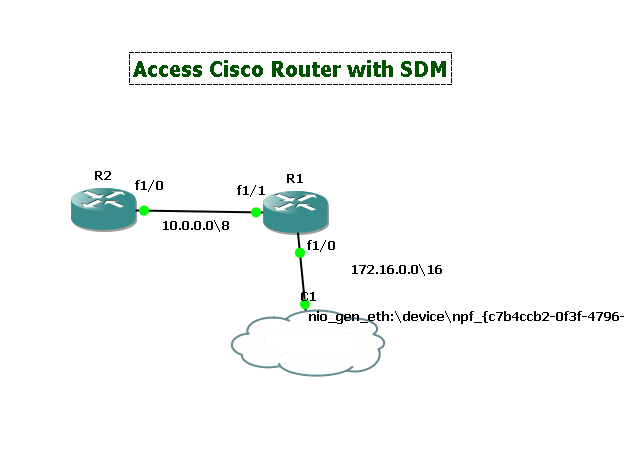 Also Cisco SDM a useful application for non-cisco professional who don’t have the enough knowledge of Cisco commands, they can configure Cisco Devices with SDM easily. In this article I will show you that how you can access and connect a GNS3 virtual router thought Cisco SDM (Security Device Manager). You need to follow the below steps to accomplish this. 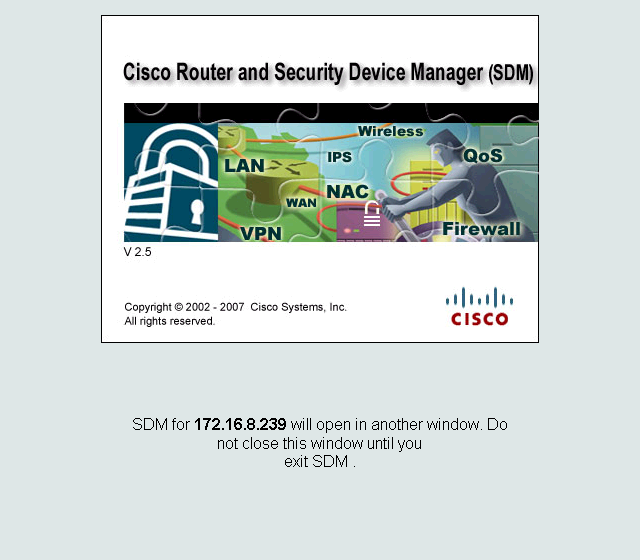 You can download SDM from Cisco.com or from many other website. Installation of Cisco SDM is straightforward and you just need to follow a simple wizard. 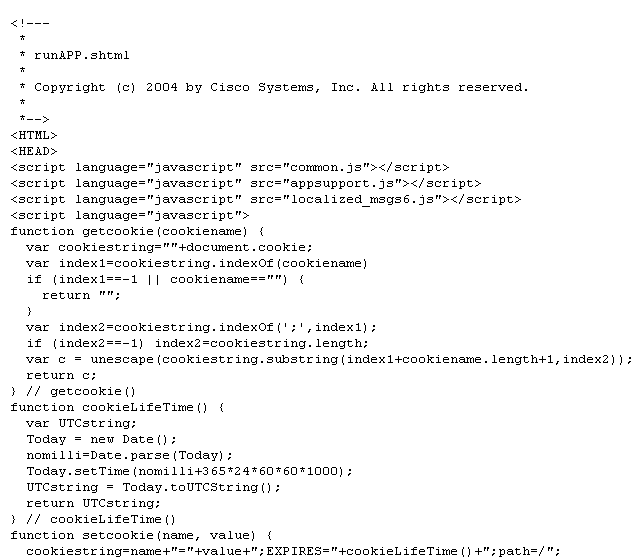 Cisco SDM is a web base Device Manager for Cisco devices, when you use SDM its involve HTTP and HTTPs protocol and you need to enable these two protocols on Cisco Router so that you can access it from Cisco SDM. 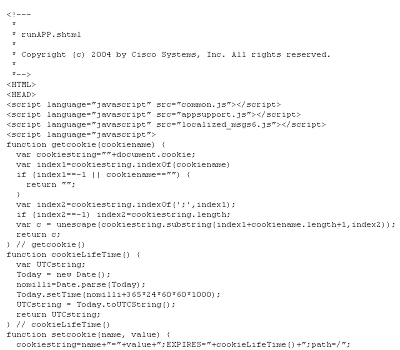 You can enable the HTTP and HTTPs on Cisco router by following commands. I have connected the R1’s f1/0 interface to gns3-cloud so that internal Gns3 router can be accessible from my local computer. 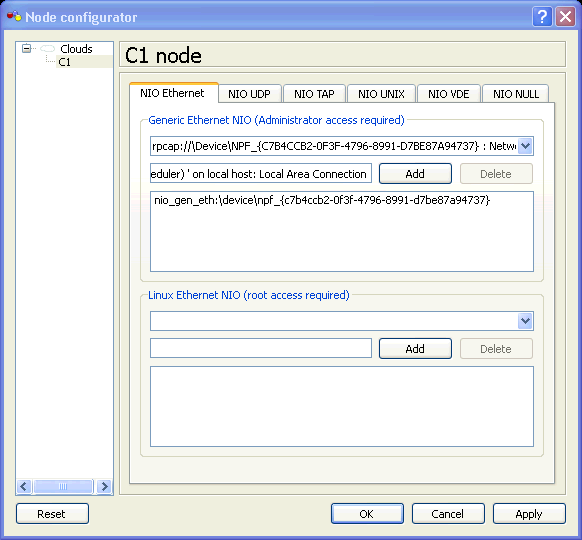 For configuring a cloud you need to add your Ethernet interface in cloud-configuration. 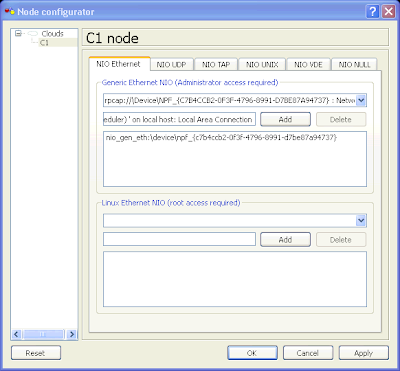 Now you can connect the router Ethernet interface with this cloud interface. You can learn more about use gns3 cloud. After above configuration you can ping your virtual routers IP 10.0.0.2 and 172.168.8.239. Now open the SDM and type the IP address of router, in my case it is 172.168.8.239 and it will open the following console. 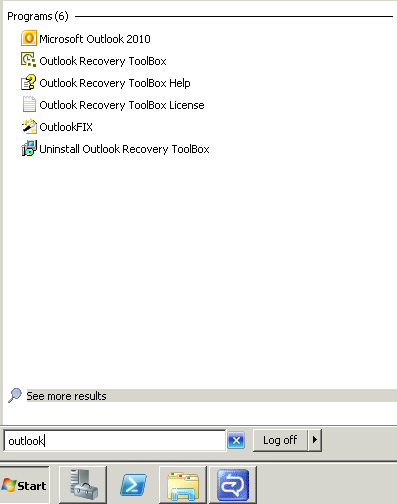 After some processing it will open the SDM in internet explorer, it may ask you for enabling ActiveX Setting, click yes. Note: It may show you the following screen and stop on this windows, in this case you just need to press F5 and click yes for ActiveX Setting. 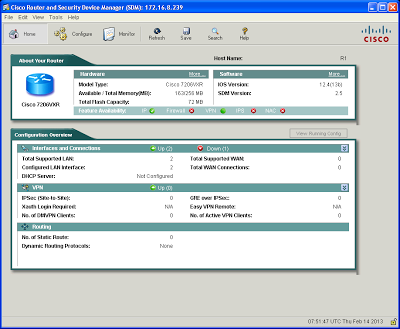 Now you can access you Virtual router with SDM and can configure and practice the virtual router with GUI interface. Hope this will work for you. Presumably a lot of people have started to use Windows 8, the traditional sliding with new touch interface should allow everyone to spend a lot of time learning the fact. In this article I will introduce you some important shortcuts that are really useful while using windows 8. 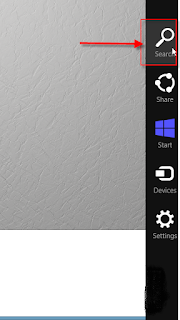 Microsoft exclude “start button” from windows 8 and introduce a toolbar. 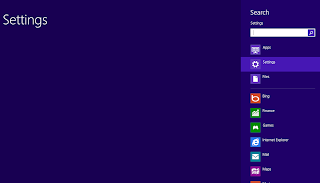 You can open this toolbar using the mouse is moved to the upper right or lower right corner. From keyboard you can call it using "Windows key + C". In addition, each toolbar fact also has a corresponding shortcut keys, such as the search for the "Windows key + Q", and you can use "Windows + I" for setting where you can find control panel as well. To switch applications in addition to the traditional "Alt + Tab", also can use the "Windows key + Tab" to use the new program management interface to switch between open programs. 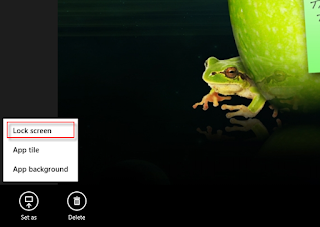 In addition, you want to use two applications at the same time you can also use the Windows key +. (dot) to open. Windows 8 actually still have reservations about the Start menu, not only content, streamlining the only setting program, such as console, execute, search functionality. 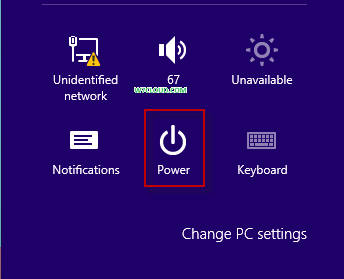 Use the mouse moved to the far left, right-click to use the keyboard is "Windows key + X" can quickly call this menu. In windows 7 if you want to search something from start menu then its simple type query in start and you will find your result. In this article I will show you how you perform the search from start menu on windows 8. 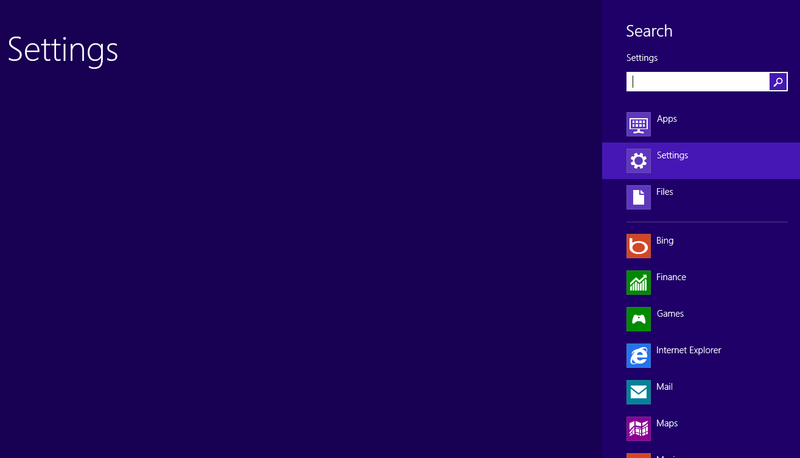 It also simple in windows 8 as well. 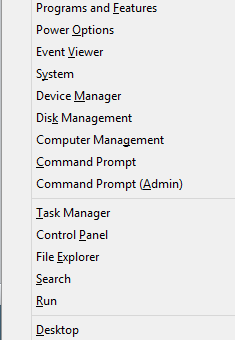 There some ways to search items from start menu in windows 8. Press windows key and type the keyword that you want to search it will show you the result against your qurery. Second ways to perform search from Commonly Toolbar that appear when you place your mouse at right down corner or simple press Windows key + C. Click on search and search menu will open type and find the search result from your start menu and from computer.